Dr. Bimal K. Bose (Life Fellow, IEEE) held the Condra Chair of Excellence (Endowed Chair) in Power Electronics at the University of Tennessee, Knoxville since 1987, where he was responsible for teaching and research program in power electronics and motor drives. Concurrently, he served as Distinguished Scientist (1989-2000) and Chief Scientist (1987-1989) of EPRI-Power Electronics Applications Center, Knoxville,TN. Prior to this, he was a Research Engineer in the GE Corporate Research and Development (now GE Global Research Center), Schenectady, NY, for 11 years (1976-1987), an Associate Professor of Electrical Engineering, Rensselaer Polytechnic Institute, Troy, NY, for five years (1971-1976), and a faculty member at Bengal Engineering and Science University for 11 years (1960-1971). He is specialized in power electronics and motor drives, specially including power converters, PWM techniques, microcomputer/DSP control, electric/hybrid vehicle drives, renewable energy systems, and artificial intelligence (expert system, fuzzy logic and neural network) applications in power electronics and motor drives. He has been power electronics consultant in a large number of industries. He holds a Honorary Professorship in Shanghai University (1991), China University of Mining and Technology (1995), X’ian Mining University (1998) (also Honorary Director of Elec. Engg. Institute) and Huazhong University of Science and Technology (2002). He has authored more than 250 papers and holds 21 U.S. patents. He has authored/edited seven books in power electronics: Power Electronics and Motor Drives – Advances and Trends (Academic Press, 2006), Modern Power Electronics and AC Drives (Prentice-Hall, 2001), Power Electronics and AC Drives (Prentice-Hall, 1986), Power Electronics and Variable Frequency Drives (Wiley/IEEE Press, 1997), Modern Power Electronics (IEEE Press, 1992), Microcomputer Control of Power Electronics and Drives (IEEE Press, 1997), and Adjustable Speed AC Drive Systems (IEEE Press, 1981). He has given tutorials, keynote prersentations and invited seminars extensively throughout the world, particularly in IEEE sponsored programs and conferences. Dr. Bose has served the IEEE in various capacities, including Chairman of the IEEE Industrial Electronics Society (IES) Power Electronics Council, Associate Editor of the IEEE Trans. on Industrial Electronics, IEEE-IECON Power Electronics Chairman, Chairman of the IEEE Industry Applications Society (IAS) Industrial Power Converter Committee, IAS member of the Neural Network Council, Vice-Chair of the IEEE Medals Council, Member of IEEE-USA Energy Policy Committee, Member of the IEEE Fellow Committee, Member of Lamme Medal Committee, Member of IEEE Power Engineering Medal Committee, Member of IEEE Awards Board, etc. He served as a Member of the Editorial Board of the Proceedings of the IEEE and the Journal of Intelligent and Fuzzy Systems since. He was the Guest Editor of the Proceedings of the IEEE “Special Issue on Power Electronics and Motion Control” (August 1994). He has served as a Distinguished Lecturer of both the IAS and IES. Dr. Bose is a recipient of a number of awards, including IEEE Power Electronics Society Newell Award (2005), IEEE Millennium Medal (2000), IEEE Meritorius Achievement Award in Continuing Education (1997), IEEE Lamme Medal (1996), IEEE-IES Eugene Mittelmann Award (for lifetime achievement in power electronics and motor drives) (1994), IEEE Region 3 Outstanding Engineer Award (1994), IEEE-IAS Outstanding Achievement Award (1993), Calcutta University Mouat Gold Medal (1970), GE Silver Patent Medal (1986), GE Publication Award (1985), and a number of IEEE prize paper awards. He also received the Distinguished Alumnus Award (2006) from Bengal Engineering and Science University, India. 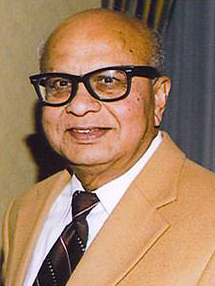 The IEEE Industrial Electronics Society Magazine published a special issue (June 2009) “Honoring Dr. Bimal Bose and Celebrating His Contributions in Power Electronics”with his photo on cover page and defining “ Dr. Bimal Bose: A Reference for Generations”. Dr. Bose received B.E. degree in 1956 from Calcutta University, India; M.S. degree from University of Wisconsin, Madison in 1960 and Ph.D. degree from Calcutta University in 1966.